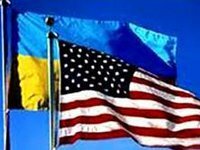 The main message of U.S. Assistant Secretary of State Victoria Nuland's trip to Ukraine is to reaffirm the U.S. support to Ukrainian partners and country's sovereignty. This follows from a daily briefing of Director of the U.S. Department of State's Press Office Jeff Rathke on May 15. "Assistant Secretary Nuland's ongoing visit to Kyiv and her discussions with Prime Minister [Arseniy] Yatseniuk and President [Petro] Poroshenko reaffirm the United States' full and unbreakable support for Ukraine's government, sovereignty, and territorial integrity. We continue to stand shoulder to shoulder with the people of Ukraine and reiterate our deep commitment to a single Ukrainian nation, including Crimea, and all the other regions of Ukraine," he said at a briefing. According to U.S. Secretary of State John Kerry, this is a critical moment for action by Russia and the separatists to live up to the Minsk agreements, the spokesperson said. He has stressed that Ukraine's leaders continue to implement their Minsk commitments.